From ASMUS Toys. 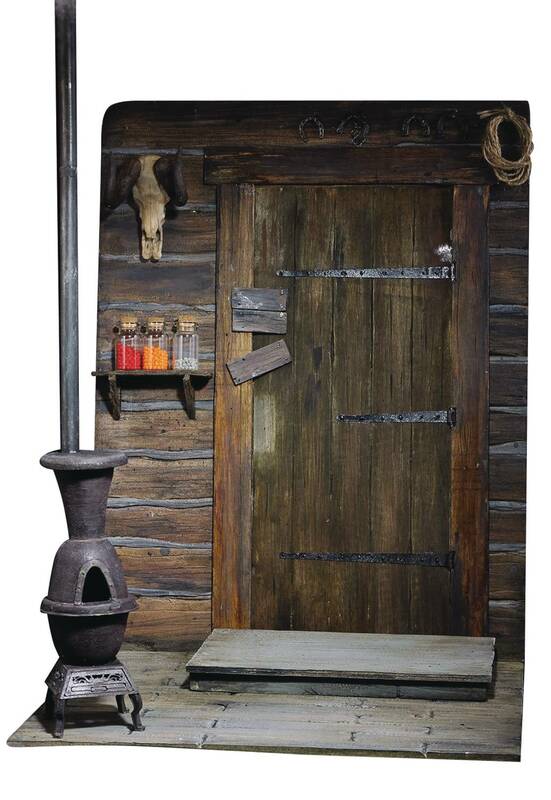 The Door of Harberdashery 1/6th scaled diorama recreates the crude, cozy cabin, with wooden textured doorway and details including taxidermy decor, lassos, and horseshoes to capture the wild spirit of the era. 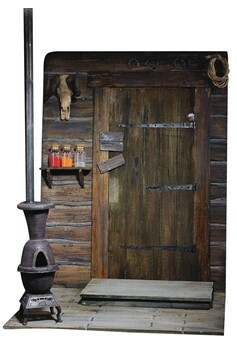 The rusty fireplace serves as the center piece with special LED light up feature to bring the whole set to life. With the doorway set, figures in the like of wary travelers, crooked outlaws, savage hunters, and ruthless rangers will finally have the perfect backdrop to match their lawless charm..